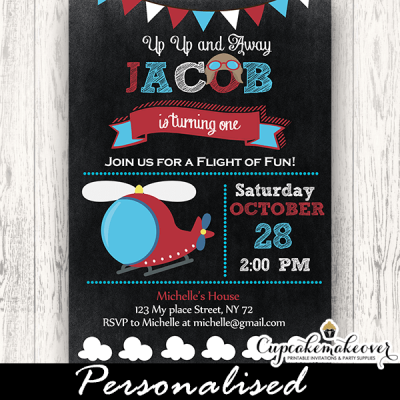 Printable helicopter birthday party invitations for your little pilot’s aviation themed celebration. 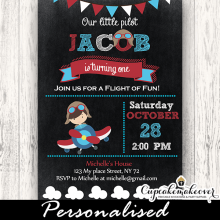 These personalized helicopter birthday party invitations feature a cute helicopter illustration in a red, blue and white color scheme on a black charcoal background decorated with bunting flags. 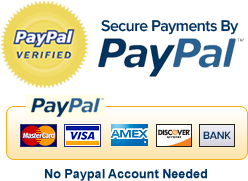 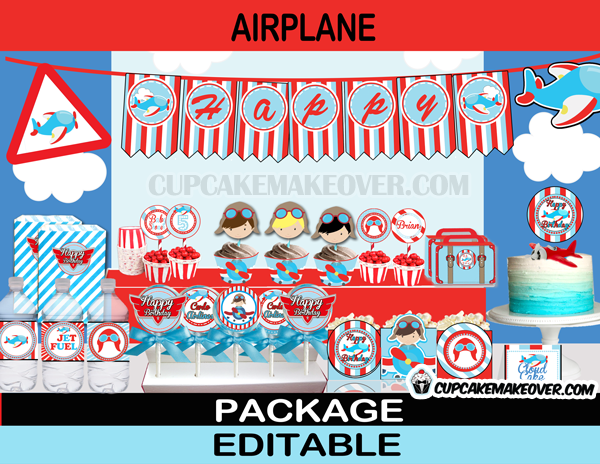 ★ Click here to view our airplane themed birthday party collection.